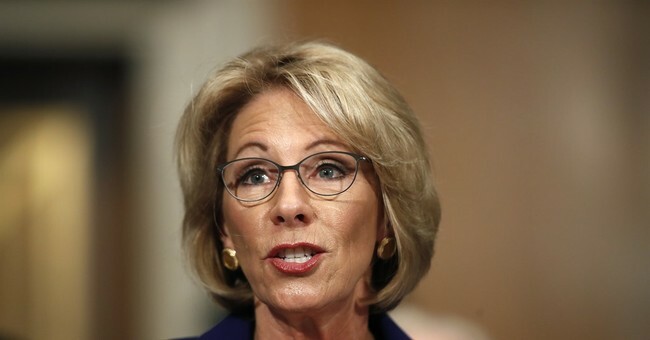 In protest of school choice advocate Betsy DeVos becoming the next education secretary, some liberals threatened to homeschool their children. Lost on them, apparently, is the irony of that threat. @POTUS @BetsyDeVos thank you for confirming our choice to start homeschooling! Conservatives were quick to notice. “We've seen more and more people opt for homeschooling, including in urban areas. What you're seeing is parents who are fed up with their lack of power to do anything about where their kids are assigned to go to school. To the extent that homeschooling puts parents back in charge of their kids' education, more power to them,” she said in a 2013 interview with Philanthropy magazine.